This 3,205 ha Rheingau region extends from Hochheim on the River Main to the evocatively-named Lorch on the River Rhein. The Rheingaus vineyards are located along one long hillside with the thick forests of the Taunus Hills to the north and the Rhein River to the south. They form a single district known as Bereich Johannisberg. This beautiful region, rich in tradition, evolves as you go east to west, from a fairly flat, dimpled landscape to progressively steeper and more impressive slopes. It is on the latter that the finest wines are made. The names of many Rheingau vineyards are legendary: Schloss Vollrads, Schloss Johannisberg, Jesuitgarten and Marcobrunn to name but four. Many hint at ecclesiastical origins and indeed, like many other regions of Germany, for centuries these vines were tended by monks. As with the Mosel, the Rhine has a moderating effect on local temperatures, protecting the vines from extreme lows but also, when the temperatures peak in mid-summer, providing a welcome cooling effect. 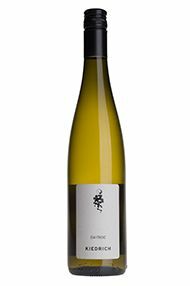 The southern-facing exposure, moisture from the river, clay-dominated soil and the almost Mediterranean-style climate combine to produce dense, rich flavours and  for Germany anyway - full, masculine wines. The Rheingau is the spiritual home of the Riesling grape; it accounts for almost 80% of plantings and yields elegant wines typically with a lovely, spicy fragrance, rich, ripe fruit and pronounced acidity. Although far less important, some reasonably full-bodied, distinctive red wines with blackberry fruit are made here from Spätburgunder (Pinot Noir). The best examples come from the steep vineyards around Assmannshausen. 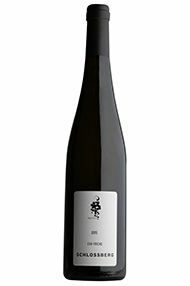 The region also makes some divine sweet Riesling; indeed Schloss Johannisberg was reputedly the first vineyard in Germany to have harvested nobly rotten grapes for this purpose. In 1994 the Rheingau was the first German wine region to be given a (semi) official vineyard classification. Drawn up by the Charta organisation and the VDP growers association, the best sites were designated as Erstes Gewächs (First Growths). The use of this classification is optional but if it is used the wine has to be dry in style or at Auslese level or above. The region is also home to the world-renowned oenological research and teaching institute at Geisenheim which has contributed significantly to the high level of technical competence in the German wine industry today. Aromas reminiscent of angelica and scented herbs create a nose with greater florality. 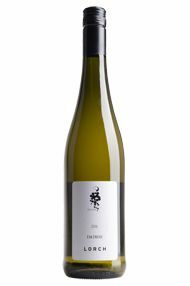 The mouth-feel has a gloriously chalky texture, interlaced with crystalline acidity and orchard fruit notes. Drink 2018-2025+.